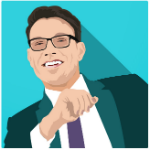 It is quite ominous to think that through the years, the Bitcoin gambling industry has transformed into a hub not only for thrill-seeking gambling enthusiasts but also for online criminals who unashamedly violate common morals just to get hold of money. Of all the cyberattacks the niche has experienced, the distributed denial-of-service (DDoS) attacks appear to be the most consistent and problematic. This cyber threat detrimentally compromises the overall operations of Bitcoin gambling websites and other online platforms to the point where operators are stripped off full control over their websites. DD4BC, which is short for DDoS for Bitcoin, is known to be the most notorious cybercriminal group that successfully launched a series of attacks since 2014.Their victims are advised to pay Bitcoin ransom in exchange for sparing their websites from the said DDoS attacks masked as a means to test the website’s security protocols. 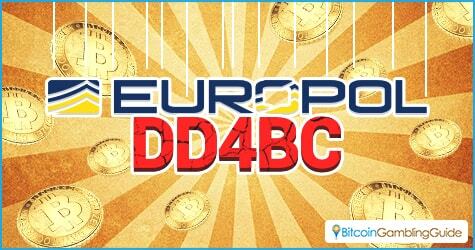 The DD4BC members, however, do not limit themselves from wreaking havoc to the Bitcoin gambling market only. The criminal pool also deals the same frustrations and damages to other departments of the Bitcoin ecosystem. But the reign of the cyber extortionists is bound to end as alleged members of the group have been arrested and detained. The joint efforts of Europol and the law enforcement agencies from UK, Germany, Bosnia and Herzegovina, and Austria led to the international crackdown of the cybercriminal group. The agency also tracked down significant members of the ‘organized network’ in Bosnia and Herzegovina. Before Operation Pleiades, however, the Swiss government already addressed a warning toward the cybercriminal group after experiencing consecutive DDoS attacks on major websites based in Australia, New Zealand, and Switzerland. The overall success of the operation was directly contributed or supported by law authorities from the US, the UK, Germany, France, Japan, Romania, Switzerland, and Bosnia and Herzegovina. Will the Bitcoin gambling industry experience peace this time? Although Europol is still on the hunt for other members of the group, the DD4BC arrest gives cryptocurrency users, especially Bitcoin gamblers, immense optimism that the industry will be free of Bitcoin extortion and DDoS attacks. This is a significant development since the temporary shutdown of Nitrogen Sports, a Bitcoin sportsbook and casino, due to the efforts of DD4BC. BetMoose, a Bitcoin prediction market website, also fell victim to the attacks launched by the cybercriminal group. 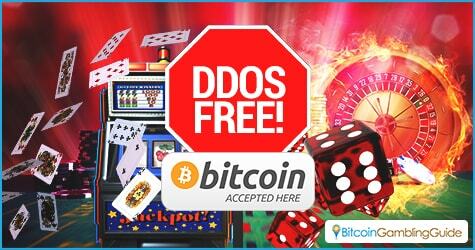 The arrest and detainment of key DD4BC members, however, will not completely put an end to the rampant attacks and extortions linked to Bitcoin and the Bitcoin gambling sector, unless the authorities and business operators become more vigilant and impose stricter security measures to avoid further DDoS attacks on Bitcoin casinos and other online businesses. The need for an effective countermeasure for the DDoS attacks is also imperative, especially after reports of another organization called The Armada Collective following the footsteps of DD4BC.